Sometimes it’s good to look more closely at things, and see past the obvious. Take roses, for instance. Your attention is immediately caught by the gorgeous big, colourful, fragrant flowers. 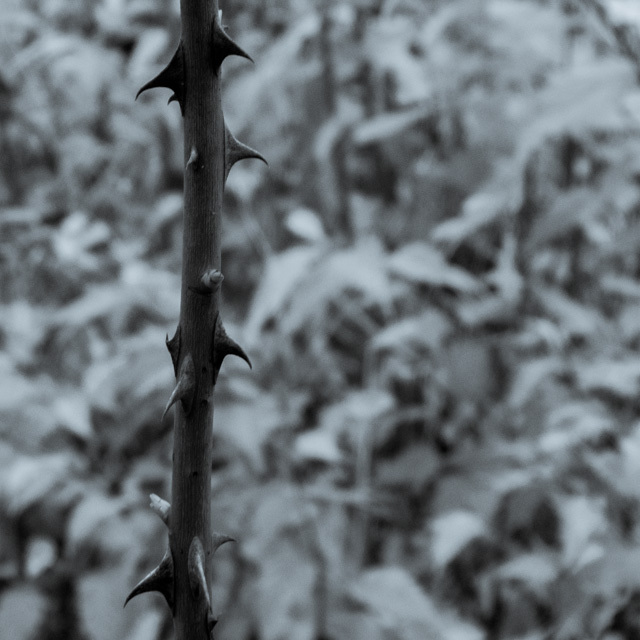 But underneath, there is also a simple, stark beauty in their stems, with their arsenal of wickedly, wonderfully curving thorns. I’ve had a go at capturing that beauty and simplicity in these earrings, which have little thorn-shaped pieces of silver soldered to silver wires. I’ve had to round the points off a bit, as you don’t want to be lacerating yourself every time you put in a pair of earrings. I’ve gone for a highly polished finish, which involved sanding each tiny piece of silver with seven different grades of paper, with the grain becoming increasingly fine. There’s a fair bit of work involved in achieving simplicity! The finished earrings are now for sale in my online Etsy shop.